Evolution is becoming more and more of a buzz word these days. It seems to be a handy term to lend credibility to one’s scientific acumen and it brings with it a connotation of advancement and being up with the times. It is used in marketing slogans such as the recent red meat campaign in Australia and in advertisements for the world’s most popular office software, which declare, ‘It’s evolved!’ We see it in television programs and we hear it in everyday conversations, but we especially encounter it in public education and tourism facilities, from state schools, museums and zoos to signs in National Parks and guided tours all over the world. Recently one of us (A.R.) was at Steve Irwin’s internationally-renowned Australia Zoo. While feeding one of their friendly wallabies, I noticed a large, grey, engorged tick on its muzzle. After a while, the tick fell off. When I reported what I’d seen to one of the zoo staff, she explained to me that most Australian native animals are able to develop resistance to tick toxins through repeated exposure. 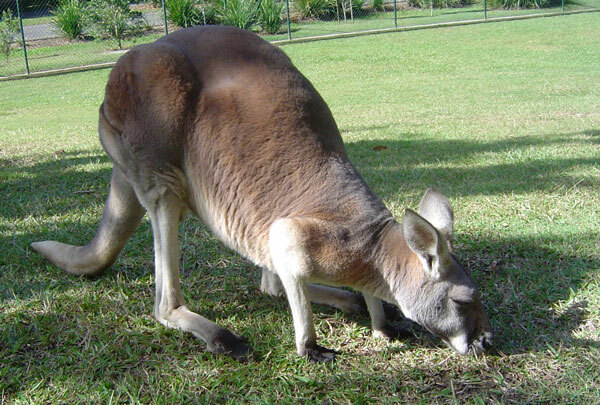 The zookeepers do not remove ticks from the wallabies because, she said, it is better to let the ticks feed as much as they would in the wild. Then if one of the wallabies does get really sick, it has a better chance of recovering. ‘It’s just evolution’, she said in a matter-of-fact tone. Wallabies and bandicoots are the main hosts for the Paralysis Tick, Ixodes holocyclus, which is found along the East coast of Australia. Resistance to tick toxins in Australian wildlife is not an example of evolution at all. The ability for Australian wildlife to develop a resistance to tick toxins is probably innate. Animals exposed to repeated light infestations from a young age develop resistance (antibodies to the toxin). 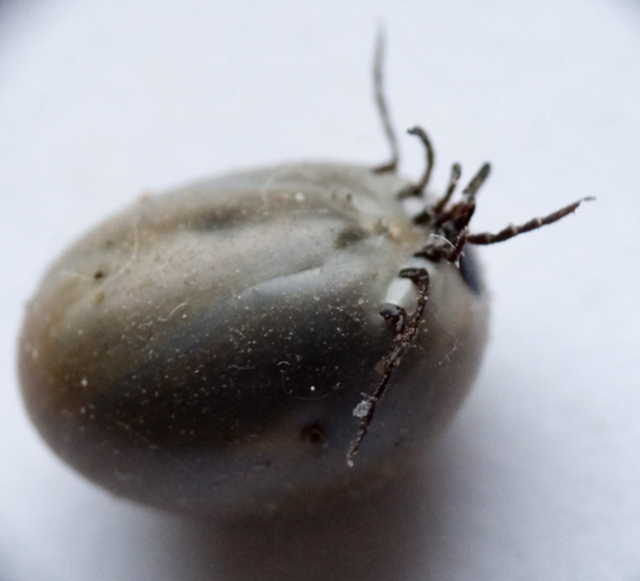 Domestic dogs raised for the purpose of producing tick anti-serum, likewise, are gradually exposed to more ticks to the point where they can tolerate up to 600 ticks without succumbing to the toxin. The anti-serum is used to treat urban pets that get wobbly from the toxin of even just one tick, because they have not been exposed to ticks and lack the antibodies to deal with the toxin. It only takes about six months of non-exposure to ticks for the dog’s antibody ‘memory’ to be lost and the next tick could cause paralysis. 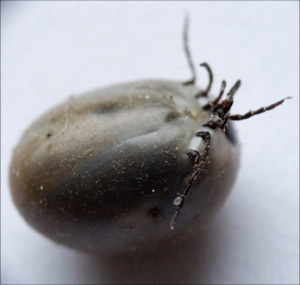 Farm dogs that are continually exposed to ticks don’t generally have a problem with paralysis. Resistance to tick toxins in Australian wildlife is not an example of evolution at all. Rather, it is an example of the ability of all mammals to develop increasing levels of antibodies when exposed to gradually increasing levels of toxins—a consequence of them having an immune system (a wonderful example of design). Young wallabies might be helped by antibodies in the milk of the mother initially, and as they are gradually weaned off milk, their own immune system would take over. No new information has been acquired by the population, as it was already there in the first place. Natural selection might be involved in weeding out any wallabies that have a defective immune system, but this has nothing to do with molecules-to-man evolution. Natural selection is not evolution (a creationist, Edward Blyth, clearly defined the concept before Darwin). Tick Paralysis in Domestic Animals in Australia, Ulladulla Veterinary Hospital, ullavet.com.au, accessed 20 May 2006.